This sign is for Wilburin Pomade Burns Sore Throat. The sign’s colors are blue and white. 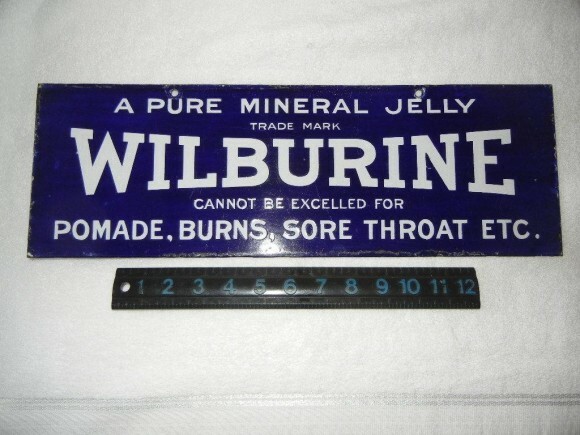 The text on the sign reads: A pure mineral jelly Wilburine cannot be excelled for pomade, burns, sore throat, etc. The sign shows text.